New Jersey Gov. Chris Christie is hoping to stop all flights leaving from Newark, New Jersey, to Havana, Cuba, until Assata Shakur — an activist and former member of the Black Panther Party — is returned to the United States. Shakur, formerly known as JoAnne Chesimard, is convicted of killing a New Jersey state trooper in 1973 during a shootout on the New Jersey Turnpike. Shakur was convicted of several crimes and spent time in and out of prison throughout the 1970s. In 1979, Shakur escaped prison and fled to Cuba in 1984 where she lived as a fugitive and eventually received political asylum. 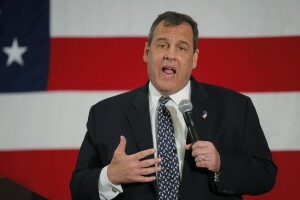 On Tuesday, Christie sent a letter to the Port Authority of New York and New Jersey Chairman John Degnan. He strongly urged that Degnan use his authority to prohibit any flights leaving out of Newark Liberty International Airport from flying to Cuba, until Shakur is extradited. Left: Presidential hopeful Chris Christie wants to stop flights from New Jersey to Cuba until Assata Shakur has been returned to the U.S. Photo by Brian Snyder/Reuters. 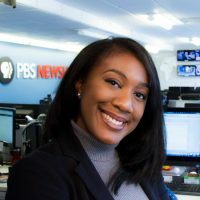 Kamaria Roberts is the Online Production Assistant at NewsHour.